When I taught English composition at Spokane Falls Community College, I always themed at least one class around human relationships with technology. In my attempt to make a mandatory writing class interesting to sleepy 18-year-olds, I gambled on the fact that everyone could point to at least one piece of technology they used habitually. To teach students how to write a personal essay, I asked them to participate in the following social experiment: choose one piece of technology, give it up for 48 hours, and then write about what they learned in its absence. Every class reacted identically: They gasped, looked horrified, then committed 100 percent. The patterns that emerged from their stories were oddly predictable: Many would give up their phones and then panic in grocery store lines, checking their pockets in a cold sweat. Giving up Netflix led to such profound bouts of boredom that students said they had no option but to clean their rooms. 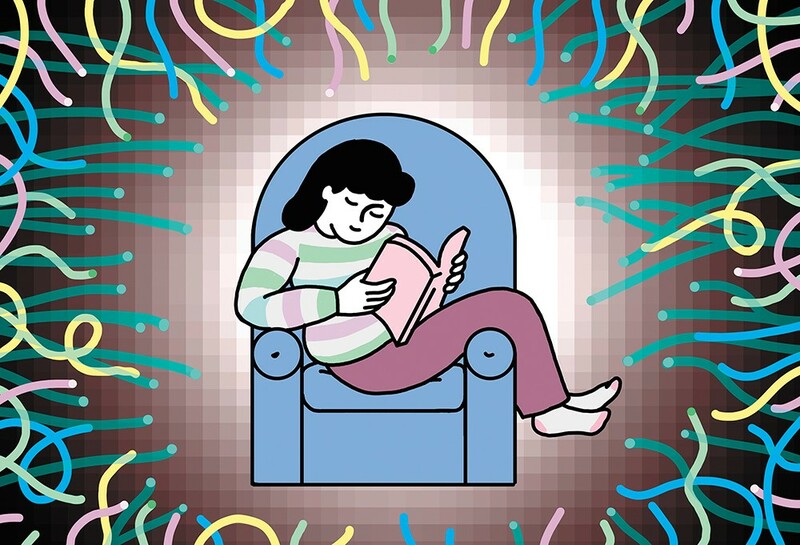 Many reported that the experiment initially intensified their anxiety, then as their restlessness abated over the 48 hours, they found it easier to focus on homework or hang out with friends. During the years I assigned the tech fast, I never participated. Lately, though, as I've struggled to manage the onslaught of a 24-hour news cycle, I've started to wonder what would happen to my mind if I recalibrated my relationship with technology. Would my life improve like my students'? I've started to worry about my Pavlovian, immediately-unlock-the-screen-response whenever I hear a text notification ding from my iPhone. And when I read in a recent New York Times article, "A Dark Consensus About Screens and Kids Begins to Emerge in Silicon Valley," that many tech executives severely limit screens for their own children because of the addictive nature of technology, I decided it was time to take on my own assignment. So, for the last seven months I've been internet-free at home — no cable, Amazon Prime, Hulu, Netflix, social media or surfing the web. Yes, I can check the internet on my phone with my data plan, but it isn't as convenient as my laptop. All that entertains me at home now are books, DVDs from the library, and offline Google Docs where I do most of my writing. While I think it is too simple to say life has categorically improved without the internet, I can say I've learned to be more intentional with the hours of my day. I used to spend almost as much time browsing my Netflix queue as I did watching Netflix. Now, with three or four DVDs to choose from, if I don't feel in the mood to watch one, I simply write or read a book. In fact, I've read more books in the last seven months than I have in the last few years combined. I find it is easier to get a full night's sleep when I can't binge-watch television or fall down an internet rabbit hole. My attention span has improved. I've saved enough money to fly to San Diego, Portland, and Minneapolis to visit friends. And, much like my students, I've kept an immaculately clean apartment out of sheer boredom. The original print version of this article was headlined "Fasting from the Internet"